I’ve been wanting to write an article about red bali Kratom since I started with Kats Botanicals. If you’ve been in our Facebook group any amount of time, you will already know that I, Wade Harman, love red bali Kratom. Sixteen years ago I first fell in love with this Red Bali Kratom strain and haven’t looked back since. Today I want to talk to both the new Kratom users and the experienced ones alike – Red bali kratom is the most versatile leaf you will ever experience. And I speak with the most intense bias when I say that too. However, to truly understand the full potential of this Hulking red strain, let’s go back to the beginning. Firstly, the name is a little deceiving. Saying “Red Bali” suggests to the customer that this particular strain was found in the Bali province of Indonesia. Just like Maeng Da Kratom, Bali is part of a marketing heist to grab your attention. Our particular Wild Red Bali isn’t grown anywhere near Bali, but in a small jungle region/district called JongKong. The name Bali is described in the Urban Dictionary as “the greatest destination in the world”. Saying “Bali” means you are admitting the name takes you to a surreal place you enjoy going from time to time. To a lot of people around the world, taking a vacation to an exotic and relaxing place isn’t feasible. In the beginning, from harvesters to vendors, and everyone else involved in the decision-making process of Bali understood one word described it best. Bali was a great destination. It was a happy place. 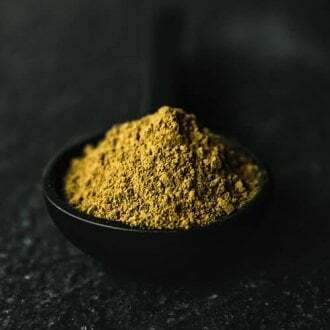 Another source suggests another reason why Indonesian suppliers started calling their Kratom strains Bali was because originally, Bali was one of the only places where they were exporting Kratom from. 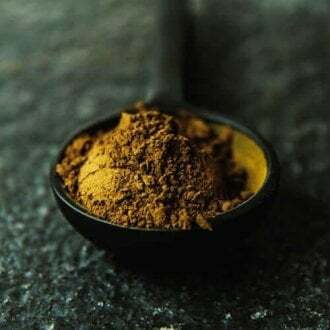 From here, Red Vein Bali Kratom was found to be highly popular among the Kratom community and largely due to its potent alkaloid makeup. If the beginning, describes the genesis of solidifying the Red Bali name, then the potency of the alkaloid makeup is what will describe the time-tested quality of this leaf. Mitragyna Speciosa is a family name which has over 40 structurally related alkaloids in its molecular makeup. 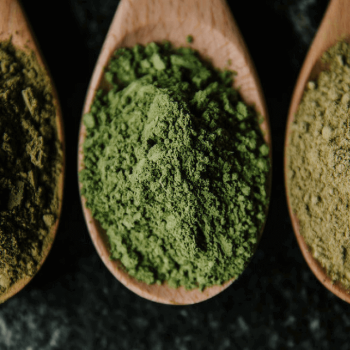 So let’s get this straight, there are two types of alkaloids in all Kratom leaves – the first is Mitragynine (which has the most abundant structure within the plant) and the 7-hydroxymitragynine. While the 7-hydroxymitragynine is the more potent of the two, the molecular structure in 7-hydroxymitragynine isn’t as prevalent in Kratom leaves as the abundant mitragynine. At any given time, there are 40 active alkaloids in mitragynine. 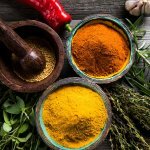 Some are more prevalent, others are less prevalent, therefore sharing with us commoners the differences between potency levels. On this note, the Red Bali (or Wild Red Bali) strain consists of over 25 alkaloids in its particular structure. Both of which are highly abundant in mitragynine and 7-hydroxymitragynine. Region, the weather at time of growth, harvest and drying time, all play important factors in determining the alkaloid makeup of any Kratom plant. 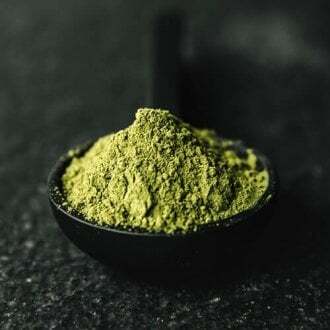 There are a few variables involved in making strong Kratom with a rich alkaloid profile. 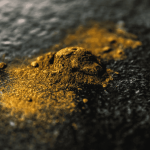 First, the region where the Kratom is grown can have slight changes to the end product. Some regions like JongKong and Bunut grow stronger Kratom than regions like Hulu Kapuas – where some say some of the weakest Kratom comes from. 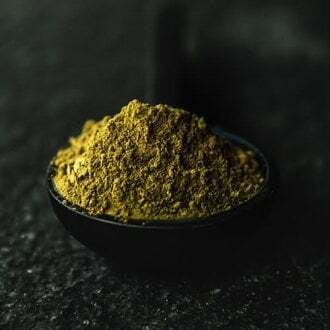 It has also been said that Kratom from the Sumatra Island is usually weaker than Borneo Kratom as well. This doesn’t mean Kratom from Sumatra Island is bad, it just means Kratom from Borneo Island is more consistent. Secondly, the strength of the Kratom leaves used makes a big difference to the end product. There are weak leaves and strong leaves. The Wild Red bali is wild harvested and picked for maturity. This is a type of strain where we cannot buy a ton of. We get maxed out at 500 kilograms because the supplier who provides Kats Botanicals with this particular strain refuses to compromise quality for mass production. Third, the actual process from leaf to powder is arguably the most important part. The drying methods are what changes the effects drastically. Certain drying methods will yield bad product, whereas some drying methods will lead to a strong product. However, our sources suggest Red Bali to be one of the most potent of the Kratom strains due to the high content of 7-hydroxymitragynine molecules. On another note, Red Bali also consists of 9-hydroxycorynantheidine, Mitraphylline, and Speciogynine. Combined with the previous Mitragynine and 7-hydroxymitragynine, you can start to see this Bruce Banner leaf begin ‘hulking up’ with all of the power inside. For fifteen years I knew nothing but Red Bali strain. The vendor I purchased from didn’t have a lot of options. 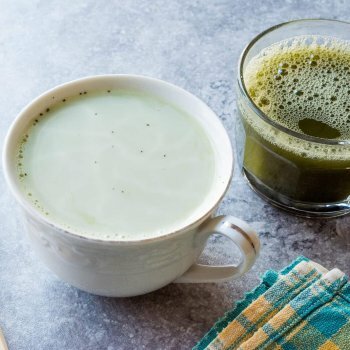 For both new users and old pro’s, make sure you don’t spread yourself too thin with your Kratom strain choices. That’s one of the reasons Kats Botanicals has so many options for our customers, we understand the need for variety. Our Wild Red Bali is one of the many experiences you can enjoy from our store. Red Bali Kratom is the perfect choice for any Kratom connoisseur. 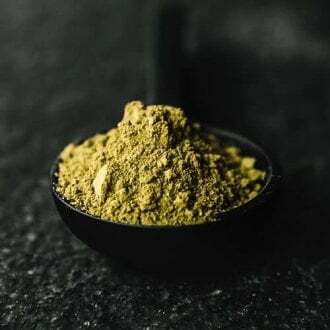 Due to its natural alkaloid potency, and the care given, make it one of the most popular strains in Kratom in the world. In the end, it’s the experience that defines the leaf. Everyone has a different experience with each strain and this is the dilemma new users face. Don’t give up until you try them all. I got lucky and landed on the bullseye the first time. The point of this article is to encourage you to keep trying if you aren’t as fortunate as I was. Find your “Bali”, your happy place. If you can accomplish this task, you will find your love.